South Africa is fast becoming the adventure capital of the world. We've had the pleasure of visiting the country a couple of times and have discovered many things to do in South Africa. From the first time we cycled down the West Coast all the way from Namibia to Cape Town to driving the entire East Coast from St.Lucia to the Cape of Good Hope, we've covered a lot of distance. We want to give you a round up of the best things to do in South Africa for when you plan your vacation. 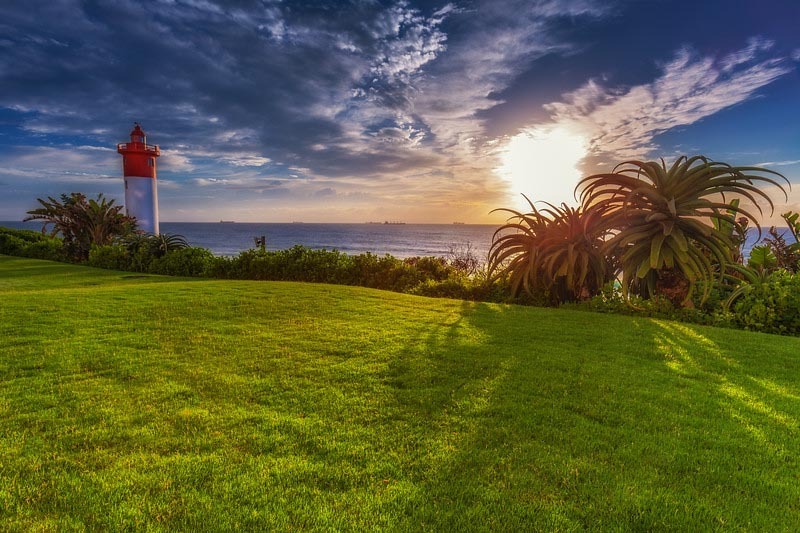 From safaris to caves, marine life to scenery, South Africa has it all! Enjoy. Check out our Guide to South Africa for more great ideas! Lonely Planet Cape Town and Garden Route - for a more specialized guide, pick up the LP that covers just the Garden Route and Cape Town. Renting a car is the best way to take in the full experience of seeing South Africa. It gives you freedom and the chance to meet the people. 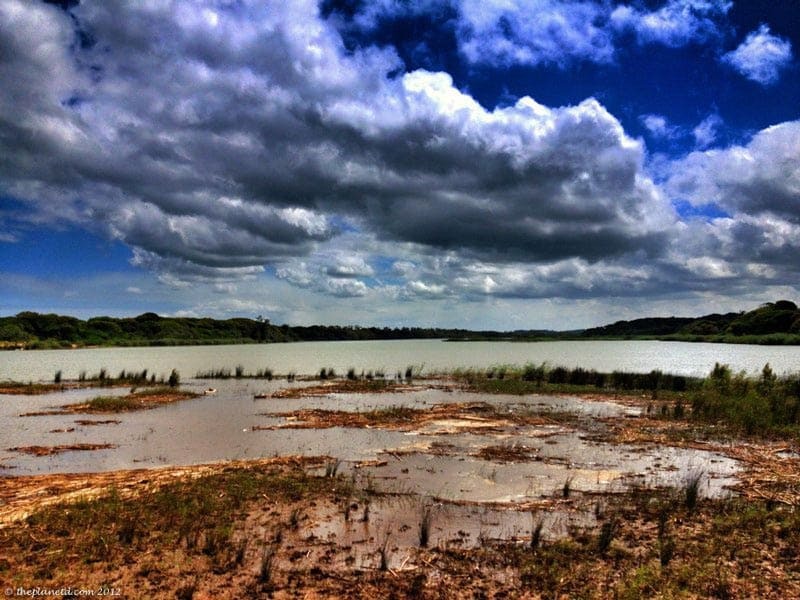 We flew from Johannesburg to St. Lucia: A World Heritage Site in the iSimangaliso Wetlands. Booking.com has over 4,000 properties in South Africa. 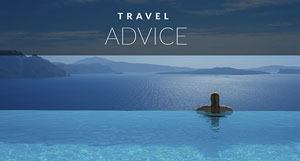 You get free cancellation on most rooms and a best price guarantee. Suggested Places to Stay for South Africa itinerary. 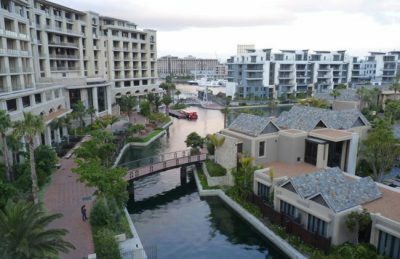 Cape Town - Lawhill Apartments - See our review here. We stayed at Umlilo Lodge where we enjoyed our very first Braai dinner with our fantastic hosts. A Braai is South African for Barbeque but for some reason a bbq in South Africa is so much better than a bbq at home. In St. Lucia there is an amazing amount of choices for excursions. It's the oldest Game Reserve in South Africa. Known for it's white and black rhino population, Hluhluwe & Imfolozi have the largest in all of Africa! 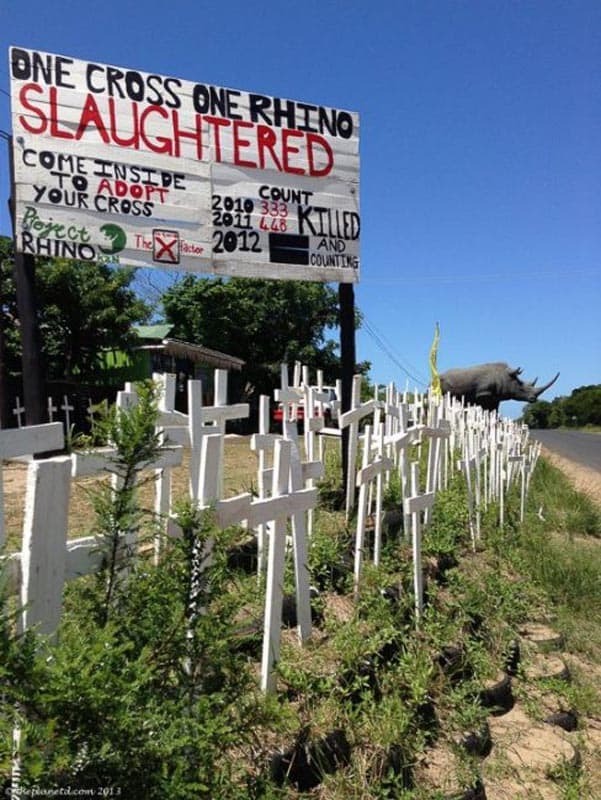 That's an amazing thing because rhinos are being slaughtered at an astonishing pace. It's good to see that conservation efforts are being put into effect. But we are worried that it is too little too late. Book your tour with Heritage Tours and Safaris and enjoy a braai lunch while you overlook the valley. Check out the hippos and crocodiles from the safety of your platoon boat. 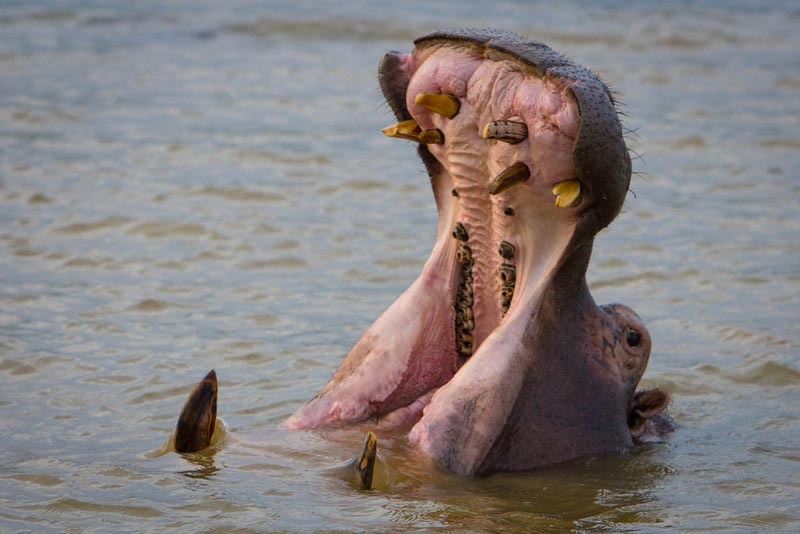 Book your tour again with Heritage Tours and Safaris and you'll enjoy enjoy hot chocolate or cider while the hippos stretch and yawn as the sun sets overhead. If you are feeling adventurous, skip the platoon boat and kayak in the river instead. There's nothing but fibreglass separates you from the crocodiles below. The water in the estuary is an average of 1 metre deep and with 1200 crocs and 900 hippos you can be sure they are lurking below, even if you don't spot them right away. 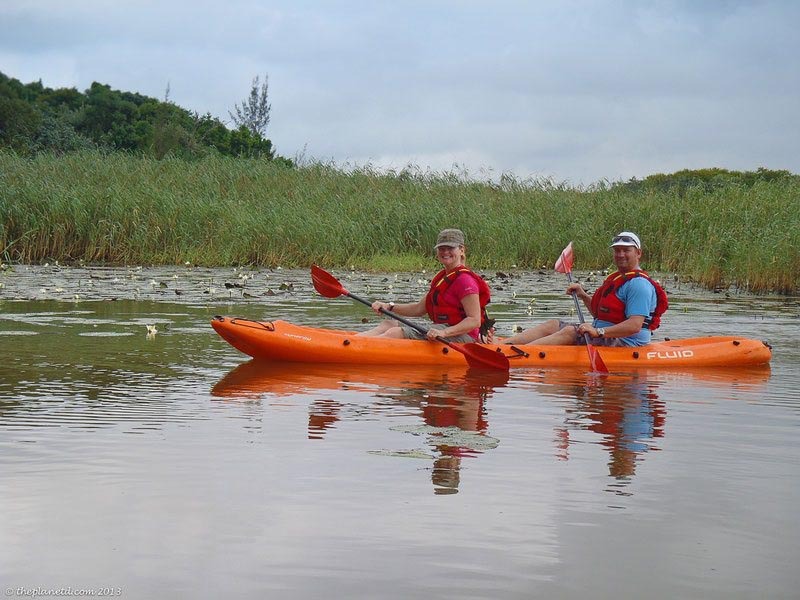 We booked our tour with Kayaking tours with St. Lucia Kayak Safaris start at R 290 ($32 USD). Read more about our kayaking adventure at Kayaking, Hippos and Crocs Oh My! Nothing feels quite as awesome as having wildebeest and giraffes run beside you as you sit atop a horse and look on. You feel at one with nature and get closer to the wildlife than you ever expected! While watching wildlife, we had a herd of zebras surround us showing off to our horses. It was like they wanted us to join in as they ran at full speed. The horses were pretty excited too! 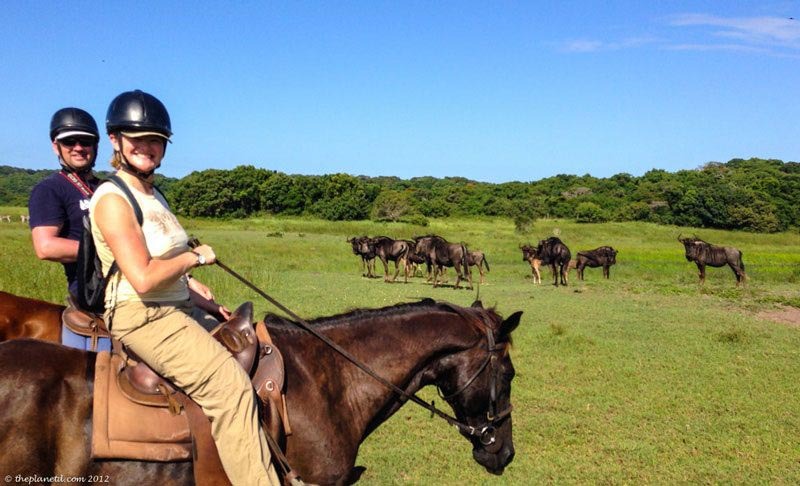 Read more about our horse safari at A World Heritage Horse Safari We booked our Safari with Bhangazi Horse Safari and Tori will show you a great afternoon. St. Lucia is one of the best places in the world to spot Leatherback and Loggerhead turtles laying their eggs. Your tour begins and 9:00 pm and goes until the wee hours of the morning. 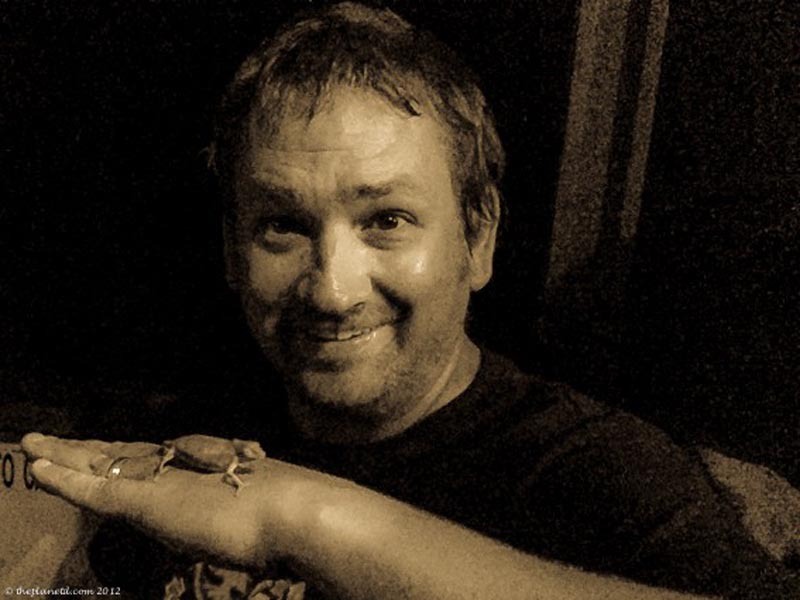 You drive right through the iSimangaliso Wetlands and we saw rhinos, hippos and the world's smallest lizard. Unfortunately, we didn't get to see a turtle hatching, But we saw Mother Nature's true side, as a jackal had dug up a nest of eggs and was feeding on turtles that were about to hatch. They were so close to making it out to sea that they were actually still moving when we came across them. The jackal waited in the dark for us to leave and our guide told us it would be back. Sadly only 1% of newly hatched turtles make it out to sea and it looked very unlikely that any of these would survive. 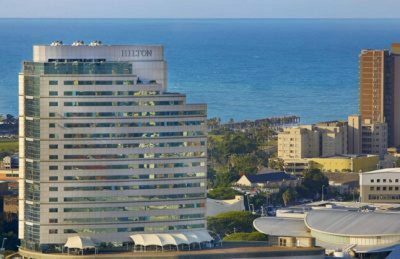 Located in Durban business district close to major sights. Durban is only 3 hours from St. Lucia and in this thriving city you can swing from the only stadium swing in the world at Moses Mabidha Stadium. If that is a little too much for you, try a microlight flight over the spectacular coastline. Feel the wind whip your face as you watch dolphins and sea turtles swim below. If you time it right, you may be there for the whale migration season! 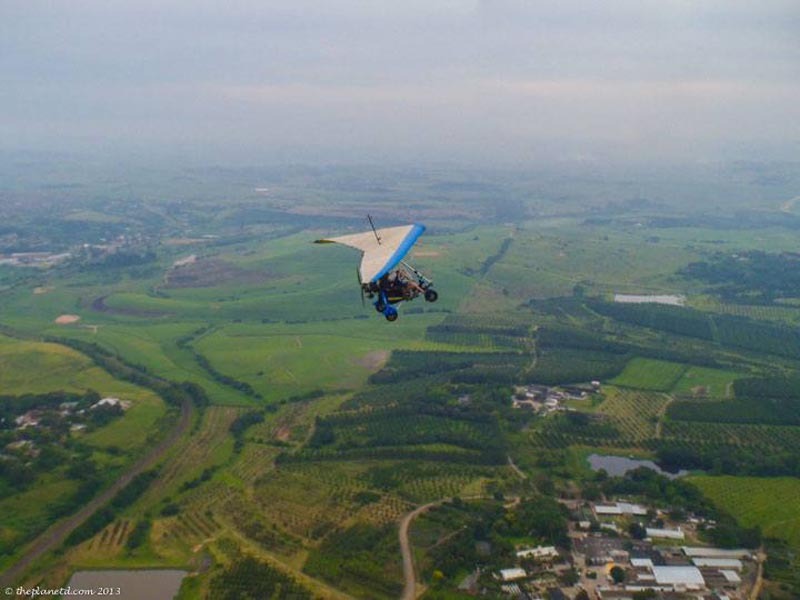 We booked our tour with the Ballito Microlight School. 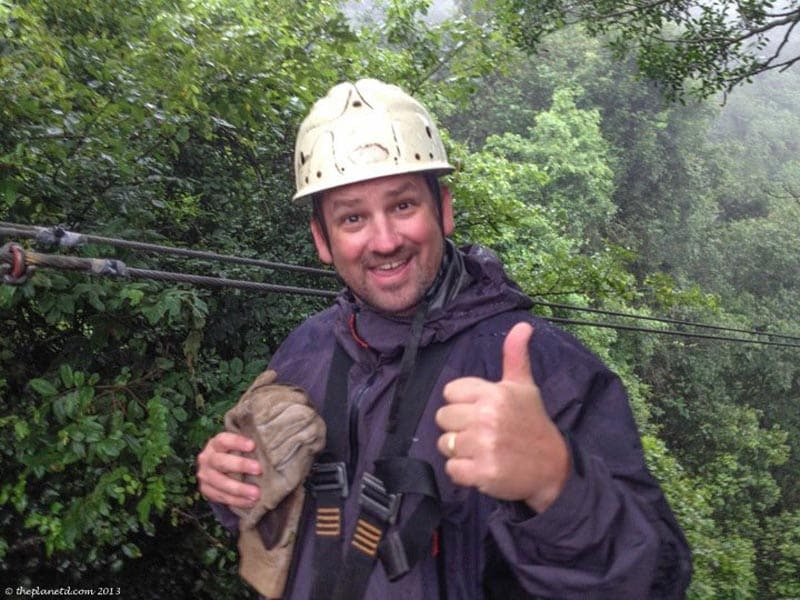 South Africa Canopy Tours has zip lining adventures all around the country. For a beginners zip line adventure, try Tsitsikamma further to the south on the Garden Route. Check out more on what a canopy tour is like at Zipadeedoodah, South Africa - and book your own at Karkloof Canopy Tours. Pre-bookings are a must! 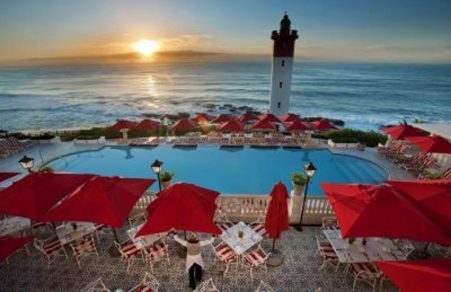 While staying in Durban, the historical Oyster Box hotel is spectacular accommodations. 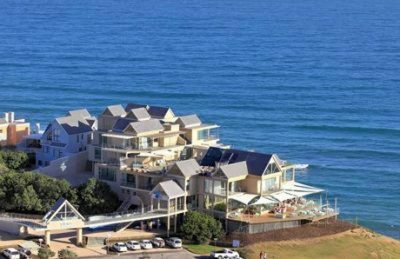 Located right on the Indian Ocean in the heart of the bustling town of Umhlanga, you are close enough to all the attractions but quiet enough to enjoy a proper relaxing vacation. With swimming pools, spas, gymnasium, restaurants and cafés, it is a resort to definitely spend time in. Luxury with stunning views. Great place for a base on the Garden Route. A person can't go to South Africa without going on safari. 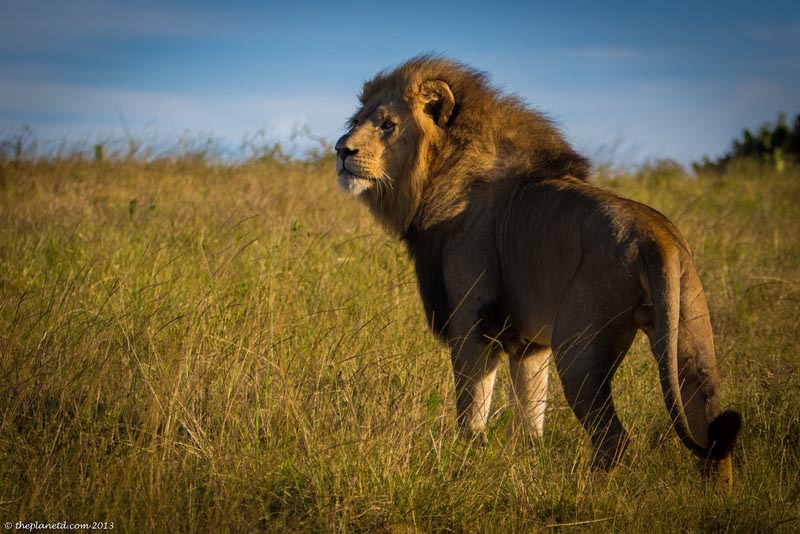 In South Africa you have an excellent chance of spotting the Big 5 animals while on safari and so much more! 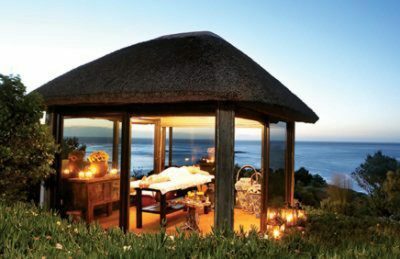 Along the Garden Route there are many private lodges to choose from and we stayed at the spectacular Kariega Game Reserve. It is a luxury reserve with four different lodges. We stayed at the River Lodge where we were surrounded by the reserve and wildlife. Our mornings and evenings were spent watching wildlife like lions, rhinos, hippos, giraffes and elephants while our days were spent in the lovely lodge reading books, sipping wine (all spirits, food and drink are included in the safari package) and relaxing on the dock. We definitely needed more time here. 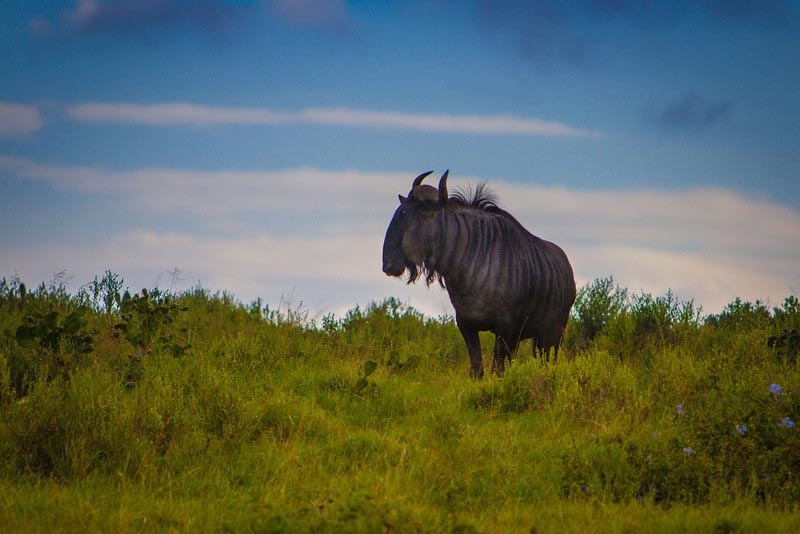 For more information on the Kariega Game Reserve, visit their website. See our photos of the wildlife we spotted while on safari in South Africa. 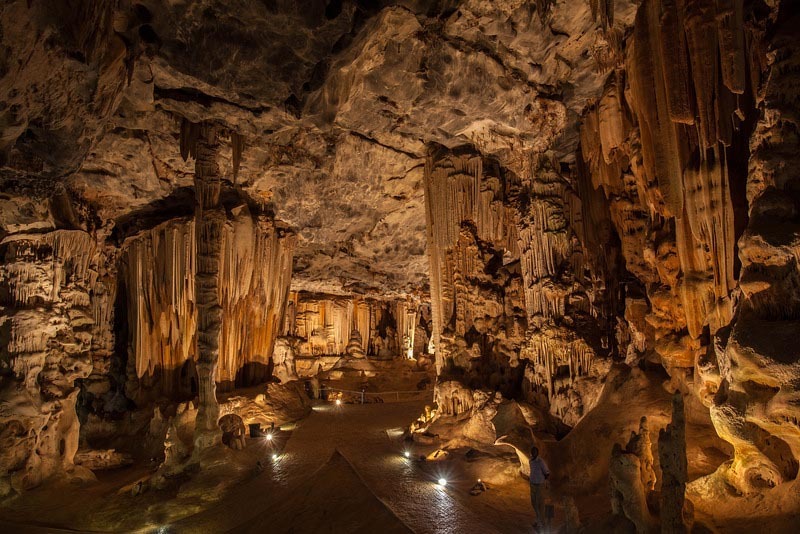 The Cango Caves are the oldest tourist attraction in South Africa and one of the best cave systems we've ever visited. The standard tour is an easy and beautiful walk through massive chambers, but if you are up for the challenge, take the adventure tour. The adventure tour takes you through narrow passageways with openings as small as 26 centimetres. It's not for the faint of heart, but great bragging rights after the fact. Ostrich are not an endangered animal and if you visit the Cango Ostrich Farm, you'll learn about how ostriches are raised, what they are used for and you be able to get up close and personal with the largest bird on earth. Ostrich riding is no longer available but you can get an ostrich massage and feed the ostriches that are held in captivity. 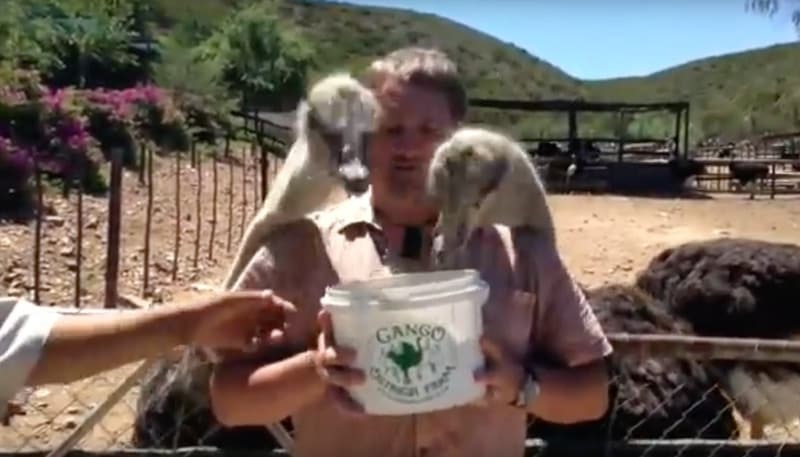 Find out more information at the Cango Ostrich Website. 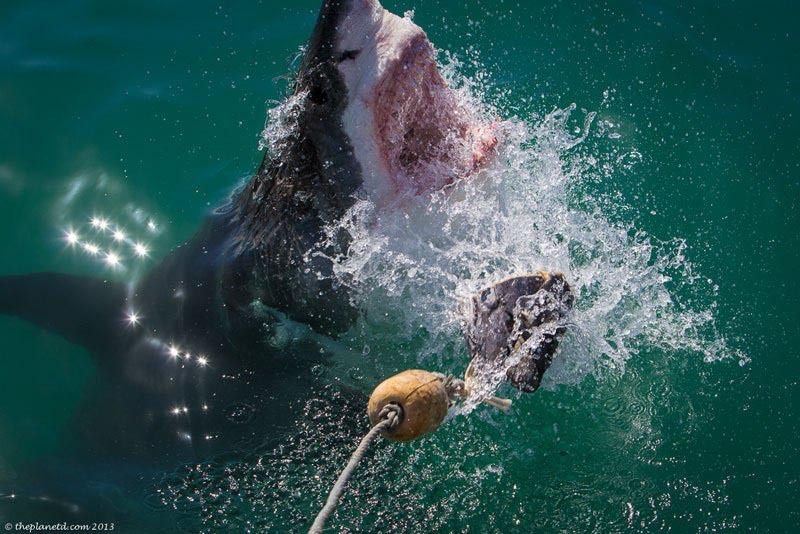 Our Number 1 Choice for things to do in South Africa is to go Cage Diving with Great White Sharks! We have seen it on Shark Week, we've watched it on National Geographic and here we are doing it in South Africa. Anyone can cage dive. You don't need to be a certified diver, heck you barely even need to know how to swim. You are in a cage attached to the side of a boat. It's the easiest diving we've ever done, but it is also by far the most exciting. Sharks are an endangered species and the more people understand the shark and learn to love them rather than fear them, the better off the entire ecosystem will be. 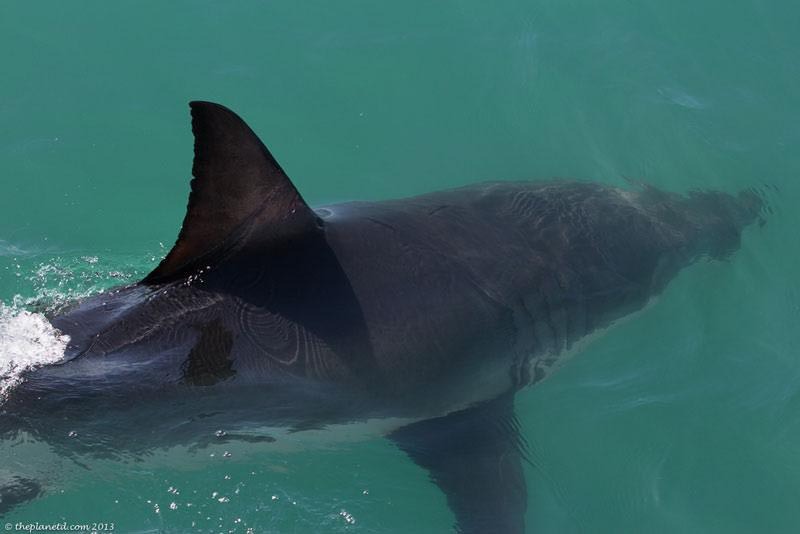 Read more about our adventure and watch the video at Shark Diving, In the Cage with Great Whites we went with White Shark Projects in Gansbaai. 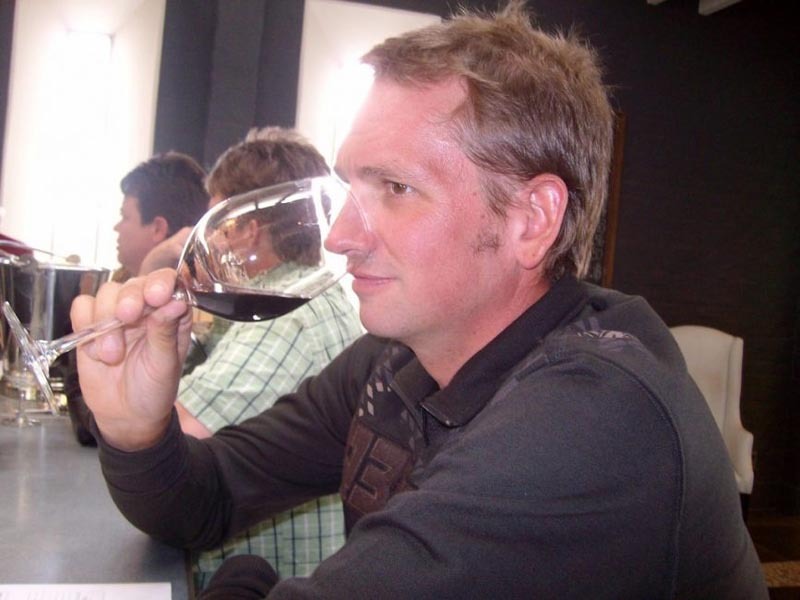 After all that adventure you must visit the Stellenbosch region to sample fine South African wines. There are huge estates where you can go for tastings, relax in town or just simply take in the scenery. After cycling from Cairo all the way to Cape Town, Dave and I spent a week indulging in the rich food and fine wines of South Africa here. Township and Robben Island Combo Tour - Tour where Nelson Mandella and other political prisoners spent decades behind bars. Winelands Half Day Tour - If you can't make it to Stellenbosch to stay you must at least tour and taste fine South African wines. Cape of Good Hope - Take a tour to the stunning Cape of Good Hope where the Indian and Atlantic Oceans meet. Many a sailor lost their lives here. 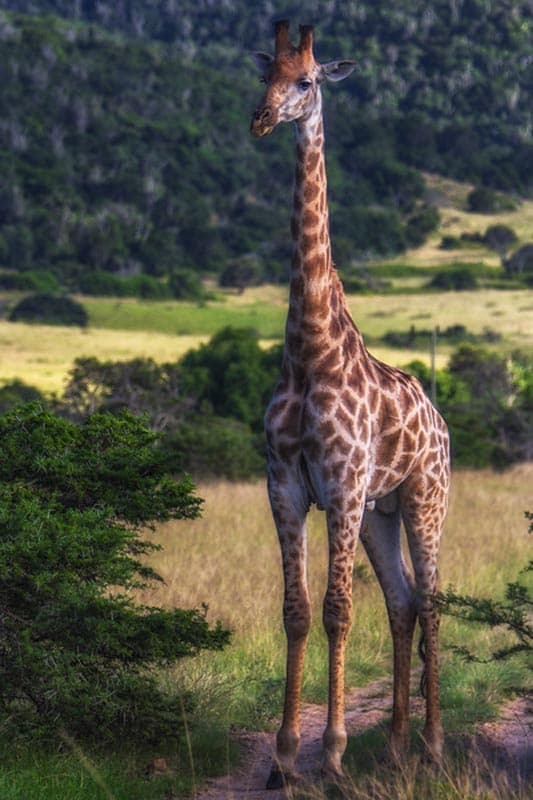 Garden Route and Big 5 Safari- You can't go to Africa without seeing Wildlife. Book a safari from Cape Town. Located in the heart of the V&A Waterfront. Luxurious, own kitchen, den. Located at the beach, this is as good as it gets. 5 Star Luxury, tastings, scenery. Cape Town is one of those amazing cities where you find yourself saying "I could live here!" It's beautiful, it's filled with culture and modern living, it has everything from markets to boutiques and it has adventure. There is paragliding off Lions Head and Abseilling (rappelling) off Table Mountain. We went sandboarding at the dunes and enjoyed the V&A Waterfront to the fullest. Don't forget to pick up your hop on hop off bus pass for Cape Town. If you feel like splurging, make sure to have a meal at the Twelve Apostles. Better yet, stay there! 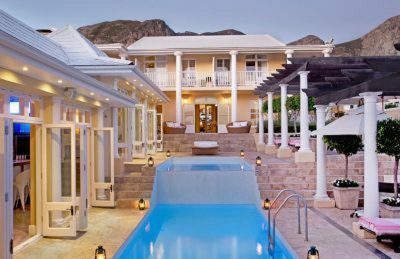 The Twelve Apostles is repeatedly voted as one of Cape Town’s best hotels. It overlooks the sea and each month they have a delicious wine pairing which we just happened to be there at the right time for! 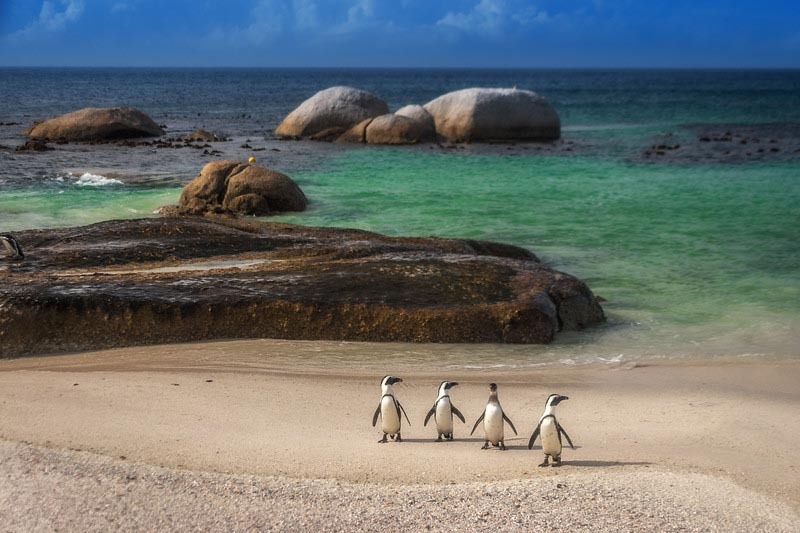 Rent a car and see the Penguins in Simons Town and make sure to visit the famous Cape of Good Hope. The road out from Cape Town is one of the best drives in the world. So there you have it! This itinerary should keep you busy doing all these amazing things in South Africa! Sure there is a lot more to do in South Africa, but if you follow this route, you'll go away feeling like you experienced everything the country has to offer. We had the perfect blend of local hospitality, world-class wildlife viewing, enjoying everything from luxury accommodation to quiet family-run operations, fine dining, incredible adventures and spectacular sunsets. 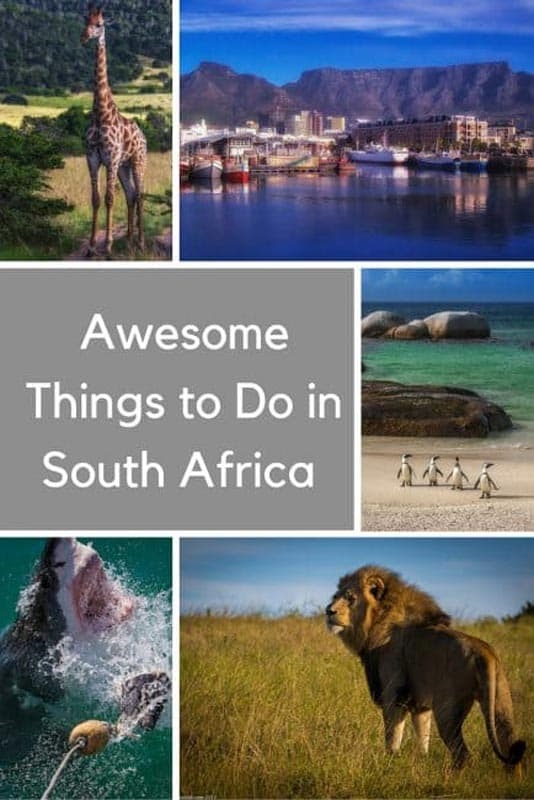 48 Responses to "13 Awesome Things to do in South Africa"
world provides the depth and diverse choices of experiences that one may discover in South Africa. the very first time, it should really take your breath away. 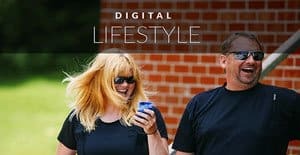 good safari alternatives to consider. 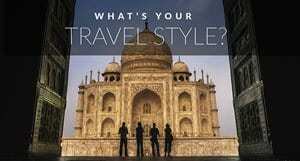 gorgeous cities on the planet, and a “must-visit” for any tourist. 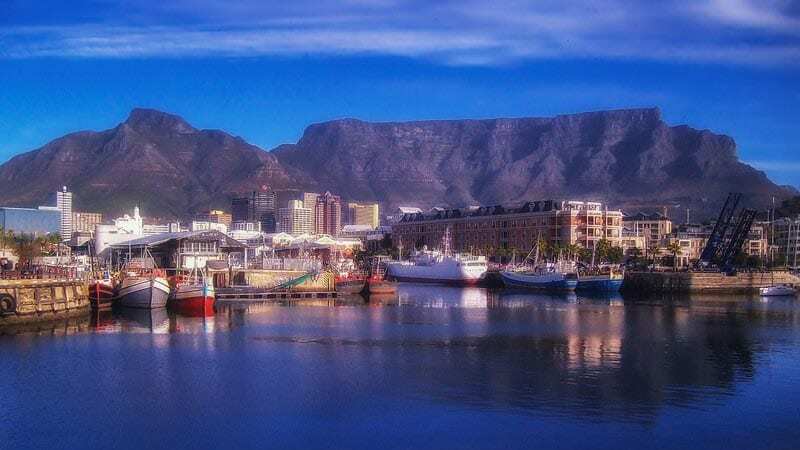 Partake in a peaceful walk up the picturesque Table Mountain, and right at the top you will take pleasure in a breathtaking view of the entire city. 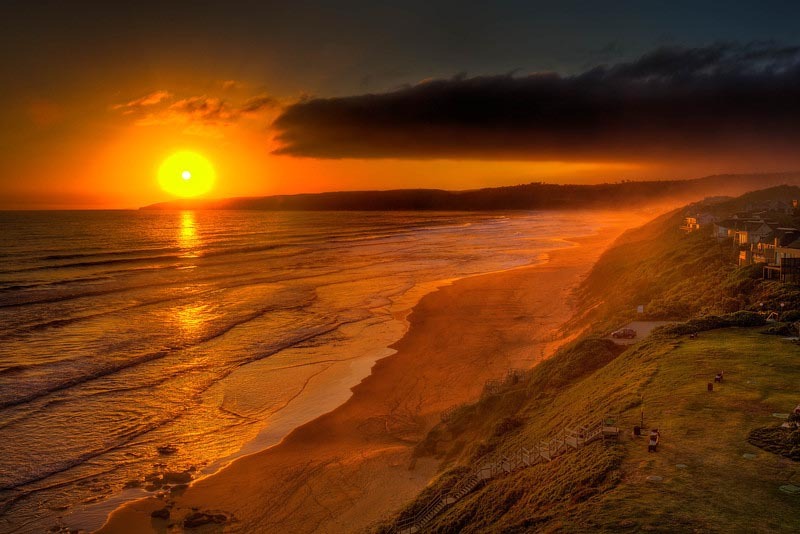 maybe to KwaZulu Natal (offering fascinating culture, silky white beaches and exceptional safari options). 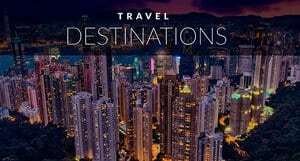 These are just a tiny handful of things to do in this amazing place – plan a vacation to South Africa and explore – you will certainly not be dissatisfied. Is Kayak with Crocodiles completely safe? Im doing an essay on South Africa’s natural attractions, and this definitely helped a lot. Keep doing what you’re doing guys! These are some of the most awesome things that you have listed. Some of the main places that a person can visit as a local are the Clay Café, Mountain sanctuary park, Morgan bay, besides many more. Wow.Thanks for the amazing guide. Wow, this is awesome! I’ve always wanted to go. Mostly because one of my favorite shows is filmed there (Black Sails) and my favorite show (Outlander) is about to be filmed there :-). But I love your list. There is SO much South Africa has to offer. I am for sure going now. If anything just to take a bath on a cliff<3. Thanks for the inspiration! First Time when i went South Africa then i really enjoy But Which I liked the most is Safari and Visiting Caves. Diving with the great white is so awesome and wine country is truly not to be missed! Check out my top 10 list for visiting South Africa for the first time! South Africa is at the very top of my travel list. I'd love to do a canopy tour! The pictures are absolutely amazing! Fantastic editing and color correction. Fantastic. Does that mean you’ve done everything but swim with sharks or will do it all but swim with sharks. Seriously, swimming with the sharks was incredible. Hello, I live more than 15 years ago in Spain, but I’m thinking give another direction to my life, I’ve been thinking about possibility of going to live in South Africa, accepted comments and suggestions, thanks. I just returned from SA. Still putting up posts to my website that I think you will enjoy! Apart from South Africa becoming the adventure capital of the world, It has proved to be the best holiday destination for family safaris. 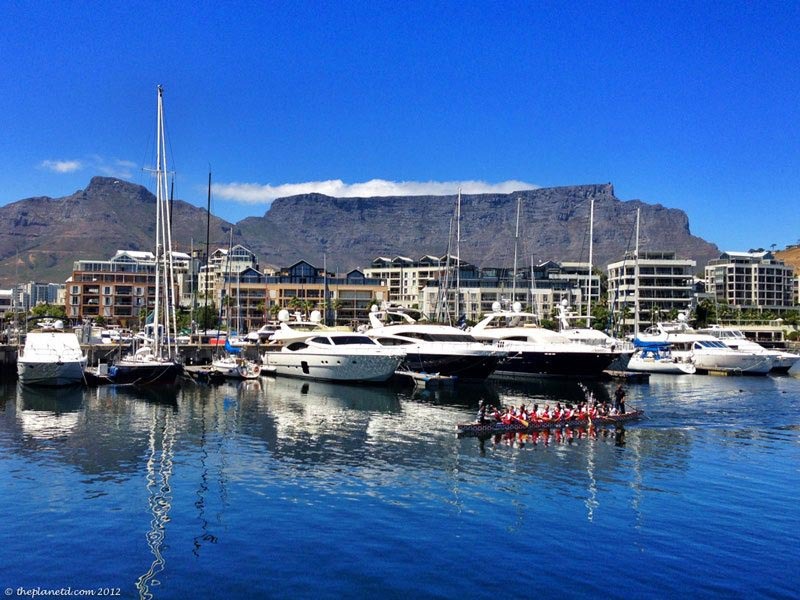 WE agree, there are so many things to do around Cape Town and it’s a beautiful city too. Yay! So very proudly South African right now. Lived in Cape Town my whole life, and it still amazes me- so wildly diverse! You are lucky Cape Town is a beautiful city. While we were there we said that we could definitely live here. It’s beautiful, cosmopolitan and yet filled with culture and adventure. As you said, wildly diverse. What a fabulous list of adventures! South Africa looks like such an amazing country! I think I’ll have to pass on the caves though, definitely not something I can handle. That sunset photo is gorgeous! This sounds like such an amazing trip! I really want to go to South Africa. Looks like an amazing place. I definitely look forward to going there and doing as many activities with animals as possible. The horse riding looks really nice. I leave for South Africa in three weeks and have been looking for things to do while there. I will be there for a month so I hope to hit the majority if items on this list. The cage diving scares me cause I’m totally scared of diving but at the same time when will I ever see sharks like that??? Wonderful trips! Beautiful pictures as well. I hope one day I could enjoy this beautiful city. Nice post! AMAZING! That’s only I can say. Oh Cape Town! I love your pictures! I am dying to go to South Africa, it looks like such a beautiful place. Fantastic photos, I’m yet to visit any country in Africa! Diving with the sharks is definitely the one thing I’m keen on doing in Africa when I finally make my way there. And it’s good to know there is other stuff there besides the safaris! We can’t wait to visit South Africa someday. We really want to see the big 5 on a safari, and a cage diving adventure is also a must for us. Your video of the ostrich riding also makes for an interesting option. South Africa really seems to be an up-and-coming destination of late, and it’s definitely starting to creep its way up my bucket list! Being a bit of a language geek (I studied linguistics at university), South Africa has interested me for a long time, at least in theory (I mean, it has 11 official language and is home to some of the only languages with clicks! ), but when I read stuff like this, it makes it more real somehow. I must say, the Cango Caves experience looks faintly horrifying…no doubt you took full advantage of those bragging rights afterwards! I would like to visit Africa someday too. I am growing older and I missing all those beauties. I didn’t know they speak so many languages there. I hope I could get the chance and courage to leave everything for now and hit the road to Africa.